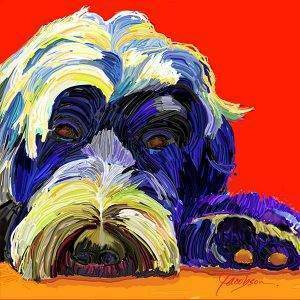 painting by artist Jackie Jacobson transformed into a beautiful ceramic tile coaster. 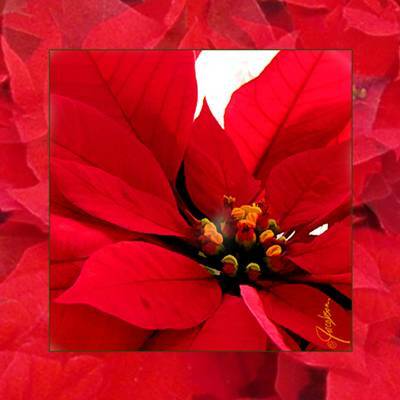 Poinsettia Red painting is from 2010 series of Christmas paintings by artist Jackie Jacobson. Jackie painted a series of three traditional Christmas paintings for tile murals and coasters. Poinsettia Red from the classic Christmas group of paintings is perfect to decorate the table, accent the home or to give as a holiday gift to guests and friends. 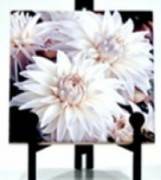 The theme for all of the coaster and tile mural paintings by Jacobson is Happy Holidays.